From Maharashtra to Delhi to Telangana, the celebrations for the 45th World Environment Day have already begun. With people from around the globe joining in, India the official host of the World Environment Day is all set to 'Beat Plastic Pollution'. BCCI Commits To Green Cricket In India: On May 27, before the final match of the 2018 Indian Premier League, between Chennai Super Kings and Sunrisers Hyderabad, the Board of Control for Cricket in India and UN Environment signed an agreement to promote ‘green cricket' in India. This green partnership will aim to focus on phasing out single-use plastic across stadiums and cricket events in the country. Maharashtra Pledges To Beat Air Pollution With Electric Cars: To mark the beginning of World Environment Day celebrations in India, Maharashtra on May 31 launched its Electric Vehicle Policy and flagged off 10 electric vehicles in Mumbai. Reason being, to reduce air pollution and climate change. Chief Minister of Maharashtra Devendra Fadnavis along with dignitaries - UN Environment Head Erik Solheim, Union Environment Minister Dr Harsh Vardhan, Maharashtra Minister Chandrakant Patil launched e-vehicles, and an electric car charging station and signed some Memorandum of Understanding for various initiatives at Mantralaya, Mumbai. Telangana Plans To Go Green: Hyderabad marked the beginning of World Environment Day celebrations on June 1 at Infosys campus, Pocharam, with a grand event attended by UN Environment Head Erik Solheim, Telangana IT Minister K T Rama Rao and other dignitaries. Telangana has initiated Haritha Haram (A Green Necklace for mother earth). As a part of this programme, the government has decided to plant 2.3 billion saplings in the course of 5 years and take their green cover from 23% to 33%. European Union Delegates In India Go For Plogging: The European Union delegates of Belgium and Sweden organised a plogging event on June 1 at Children's Park, near Delhi's India Gate. The plogging event, which encourages people to both stay fit and keep the environment clean witnessed hundreds of people partcipating. After Plogging, Experts Discuss Best Practices To #BeatPlasticPollution: On June 1, the European Union (EU) in India delegation, along with the Ministry of Environment organised a conference to discuss best practices to deal with the problem of plastic pollution. As a mark of resemblance to the spirit of the conference, no plastic water bottles were present at the conference. Participants used paper glasses to fill them from a water dispenser. Guests present on the dais during the conference were served water in glasses. 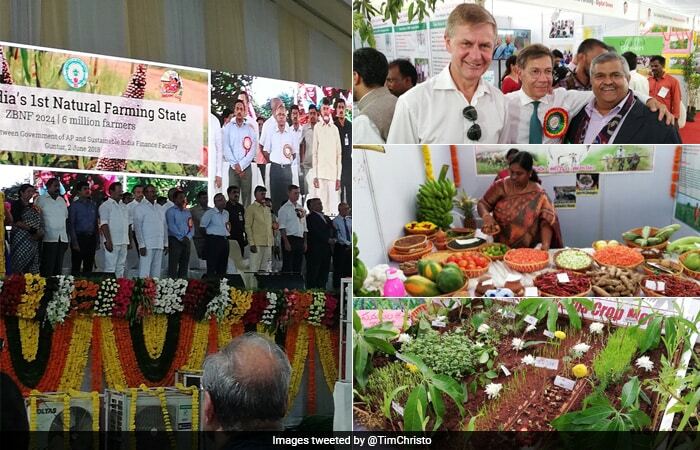 Andhra Pradesh To Become India's First 100% Natural Farming State: On June 2, Andhra Pradesh Chief Minister N Chandrababu Naidu, along with UN Environment Head Erik Solheim and other officials participated in the State Level Conference on 'Investment-free Agriculture' held at ANU in Guntur. Andhra Pradesh Government signed a contract with Sustainable India Finance Facility in the presence of 7,000 farmers and nature farmers from 20 countries. The plan is to transit 6 million farms/farmers cultivating 8 million hectares of land from conventional synthetic chemical agriculture to Zero-Budget Natural Farming by 2024, making Andhra Pradesh India's first 100% natural farming state. Starting With The Taj Mahal, India Pledges To Make 100 Monuments Litter Free: The government pledged to end the use of disposable, or single-use plastic around the Taj Mahal. Moreover, the government has also promised to make upto 500 metres around 100 historic monuments plastic-free, starting with Taj Mahal. 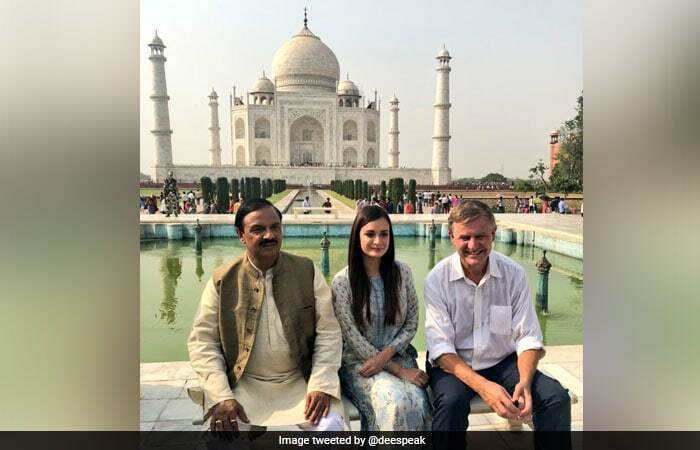 In an event organised on Sunday at Taj Mahal, India's Minister of State for Environment, Forest and Climate Change, Mahesh Sharma along with United Nations Environment Head Erik Solheim and UN Environment Goodwill Ambassador and actor Dia Mirza, adopted 'Taj Declaration' that aims at making Agra, which is among world's top ten most polluted cities, free of plastic. 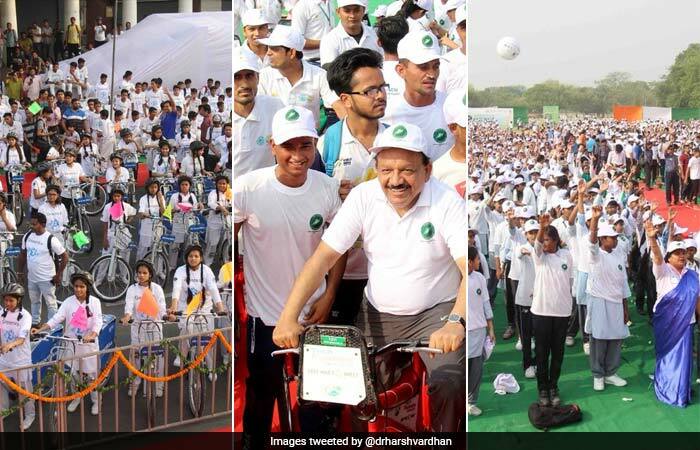 Envithon- India Runs For World Environment Day: On June 3, Environment Minister Dr. Harsh Vardhan flagged a mini marathon of school children - Envithon in Central Delhi. Over 10,000 school children participated in the run. After the Envithon, the Minster urged school children to become Paryavaran Rakshaks to fight the menace of plastic pollution. Along with this, the minister addressed the first World Bicycle Day event terming it as Green Good Deed, both for environment and health. 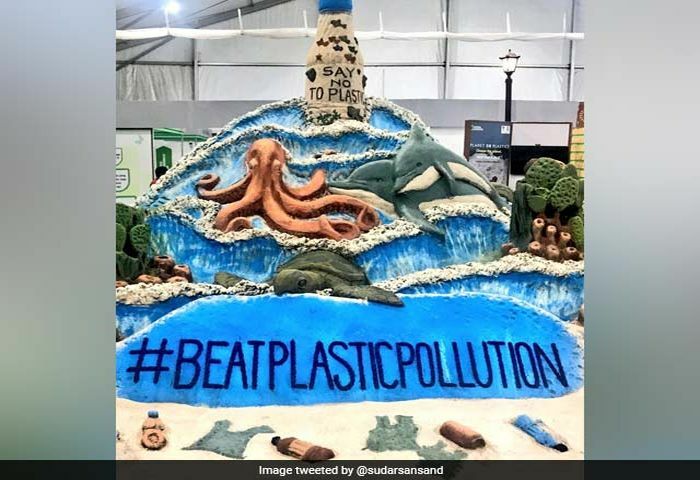 Sudarsan Pattnaik Creates Sand Art To Spread The Message Of #BeatPlasticPollution: Showcasing the danger that plastic poses to marine life, internationally acclaimed and Padma Awardee, Sand Artist Sudarsan Pattnaik, created a sand sculpture with a message - Beat Plastic Pollution.